In a town hall meeting and blog post from the VP of Product, Upwork recently announced they will be making significant changes to their pricing policy. Starting in May, freelancers will be charged anywhere from $0.15 and $0.90 to submit a job proposal, as opposed to being free. This update comes as a solution to the many employers who are having difficulty sorting through large volumes of proposals to find the best quality. The logic is when freelancers are required to pay for proposals, it will weed out those freelancers who are either not serious about taking on the job or will deter those who know they aren’t qualified from applying for the job. Upwork will start gradually rolling out these changes on May 2nd and the policy change will be in full effect in June. To help freelancers and employers alike prepare for the transition, here is a comprehensive guide to the Upwork Connects pricing changes with everything you need to know. What are “Connects” in Upwork? 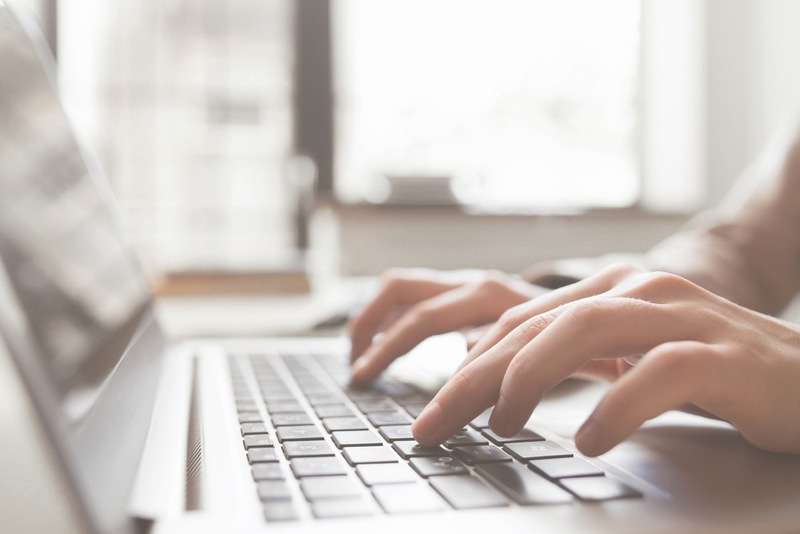 If you are new to Upwork or unfamiliar with Upwork-specific jargon, you may need a quick refresher on what Connects are. Connects are what freelancers use to submit a proposal for jobs listed in the Upwork marketplace. As of now, freelancers are given 60 free connects a month. This provides an opportunity for freelancers to apply for jobs, but not apply for every job on the Upwork marketplace. Connects, essentially, is a way to meaningfully regulate how many jobs a certain freelancer can apply for each month. It’s also important to know that different jobs require different amounts of Connects. For example, some jobs will require freelancers to use zero Connects, while another job will require freelancers to use 1 or 2 Connects. This is important to know considering, come May, pricing will vary depending on the job and how many connects are required to apply. When freelancers login to Upwork, they will land on their homepage. If you glance to the right, you’ll see a sidebar with various options. Connects are displayed at the bottom right corner of this sidebar. In this particular profile, you’ll notice this freelancer has 60 connects available. Once these connects run out, the freelancer cannot submit any more proposals for that month. What are the Upwork Connects pricing changes? Now that you know how Connects currently work, let’s dive into what is changing. The first thing that is changing is that Connects will no longer be free. This means instead of having 60 free Connects in your freelance account, you will have paid Connects that are worth $.15 each. The second thing changing in the Upwork Connects pricing policy change is the number of Connects required to apply. Instead of proposals requiring 0-2 connects, the range will now change from 1-6 Connects. This means it could cost freelancers anywhere from $.015 to $.90 just to submit a proposal. There is also no guarantee that the freelancer will get the job. As mentioned above, the intention of this policy is to make sure freelancers are serious and qualified. While this might be a good call by Upwork in many ways, it also comes with many concerns from freelancers. Freelancers worry that they will not only be paying for a subscription, but they also will pay for Connects, and there is no guarantee they will get the job. Furthermore, if they do get the job, Upwork will still take the 20% fees. How much will job proposals cost? We know that job proposals are going to go from costing 0-2 Connects to 1-6 Connects, but what does that actually mean in terms of price? Also, how do you determine how many Connects a specific type of job will cost? At first glance, it may seem there is no rhyme or reason to how many Connects a job request costs. However, Upwork is putting a system in place that will help freelancers calculate how much specific jobs will cost, and it depends on how much the job is actually worth. In other words, jobs that are worth less require less Connects to send a proposal and jobs that are worth more require more Connects to send a proposal. Jobs will never cost more than ($.90) to send a proposal, as of now. When all is said and done, 60 Connects only cost $9 a month. If you have a high success rate or even land one large project a month, then $9 isn’t too much to give in return for what you get. However, it is still more than free. Keep in mind that Upwork is monitoring this system closely. If an employer closes a job without hiring anyone or if the employer has violated job posting policies, upwork will return the Connects to the freelancer. Is it possible to get free Connects? What if you’re a new freelancer and really don’t have the extra money, or don’t want to invest the money, before you get started. Any freelancer that wants to try out the platform can sign up for an Upwork account. They will be rewarded 20 free Connects to get started. This gives the freelancer an opportunity to try out the platform with low risk. If it works out, the freelancer can buy more Connects once those 20 run out. 2. Get rising talent status. Upwork wants to see their platform succeed, and this means giving recognition to freelancers that are doing a good job. If you achieve rising talent status, Upwork will give you 30 free Connects. Additionally, they will put you in a talent pool that makes it easier and more likely for employers to reach out to you directly. 3. Achieve top rated stats. It takes a bit longer to achieve top rated status, but when this happens, you get 70 free Connects each month. Not a bad goal to work towards. 4. Buy a Freelancer Plus membership. Another way to get free Connects is with a Freelancer Plus membership. The Freelancer Plus plan will increase in price from $10 a month to $14.99 a month, but it will include 70 Connects and other great perks. It’s also important to remember that Connects do expire after a year. If you don’t have need for additional connects, then don’t buy them. However, if you don’t use all of your Connects within the month, then they will roll over to the next month. They will cap out at 140 though. If you do have any free Connects in your current account, they will roll over with the new program. The Upwork Connects pricing change is the most significant of the Upwork changes, but it’s important to note that it’s not the only change taking place come May. When Upwork rolls out these changes, you’ll also notice that the price Upwork’s Freelancer Plus plan will increase as well. Currently, it is $10.00 a month. When the changes roll out, prices will increase by nearly 50% and cost $14.99 a month. However, as mentioned above, the Freelancer Plus plan will come with 70 free Connects. The Agency Plus plan will still cost $20, but won’t include Connects. This means if you’re on the Agency Plus plan, you’ll need to buy Connects in a bundle. If you are still on the Agency Basic plan, you can continue working on any existing jobs. But, once you want to submit proposals for any new jobs, you’ll have to upgrade to the Agency Plus plan. If you’ve been working with Upwork for years, you may be wondering why they are even making these changes in the first place. Haven’t things been going well? Do they really need to increase their prices? The reason Upwork is changing this policy is to help deal with the influx of low-quality freelancers, and to help clients find higher-quality workers faster. If you work as a freelancer, you may have either shied away from Upwork or felt extreme frustration when coming across a project only to find 49 people already applied and the job isn’t even close to being closed. By requiring freelancers to pay for their Connects, and to use a varying range of Connects for small, medium, and large projects, the hope is Upwork will be able to more effectively regulate quality. That way, when you see a project that is perfect for you, you can apply for it knowing that not everyone on Upwork is just throwing out a proposal, whether or not they are qualified. Hopefully, these changes will result in a better user experience for both clients and freelancers. Clients should be able to find high-quality workers and freelancers should be able to only send proposals to jobs they know they are uniquely qualified to crush. It will be interesting to see how things play out for freelancers. While it’s projected that there will be less proposals, it also means the quality of proposals will increase. If freelancers want to stand out in the crowd, then they will need to do everything to make sure the proposals are outstanding. Another winning point for freelancers is hopefully it will lead to higher paying jobs. If clients know they can get anyone to work at low rates, then why not submit lower paid projects? If freelancers, however, have to pay for proposals, then they are only going to pay for proposals that are worth their time. In turn, this should make clients raise the bar and pay more as well. If you’re not on board at all with the new changes, or if you’re looking to expand your horizons, there are several other places you can work as a freelancer or hire a freelancer, respectively. We have compiled a list of Upwork alternatives that you can check out if you want to dive deep into this. Even if you’ve been working for Upwork for years, you are not obligated to only work for Upwork. You may find success on another platform. Additionally, there are some platforms that are better for specific types of freelancers than Upwork. For example, if you are a developer, you can find jobs on Upwork. However, you may find more jobs on Toptal. It’s worth it to take the time to research and find out which platforms best suit your needs. You have until May 2nd until these changes start rolling out. This guide should answer all your questions about the Upwork Connects pricing changes, but you can always go straight to the source for more information about direct questions. Upwork has also put together an FAQ about the Upwork Connects changes that will come in handy if you have any questions. We would love to hear what you think in the comments. If you are an employer looking for a freelancer, are you excited about the changes? How will this change your approach to the type of projects you list on Upwork and do you plan on paying more? If you are a freelancer, what are your thoughts? Do you think these new changes will fit within your budget? Do you think you will be able to land more and higher paying projects with these new requirements? We would love to hear your thoughts about these new changes. Fantastic breakdown, Greg. I’ve linked to it from our opinion piece on the change. I predict this change is going to drive new talent away from the Upwork platform, but not as much as everyone may think. It will certainly solidify the position of all existing freelancers. Now, each new proposal submitted will be up against a greatly reduced number of similar low-end proposals. This could, in fact, make it much easier to find a client. Time will tell. We’re actually tracking daily the number of proposals in each Experience category (Entry Level, Intermediate, Expert) to see how things change through the months of April, May, and June. I’d be surprised if the # of proposals doesn’t drop significantly. Looking forward to your results, Alex.